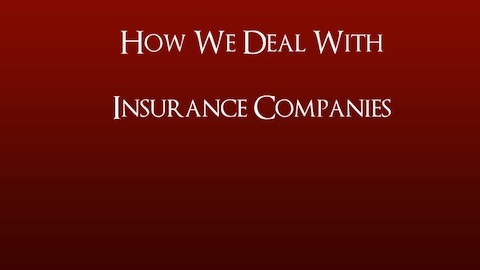 At Bache & Lynch, we know how to handle insurance companies; we used to work for them. Now we work for individual clients seeking maximum insurance coverage after a serious injury. While defending insurance companies earlier in our careers, we learned how these companies approached a serious personal injury or wrongful death case. We know how they analyze and value cases, what they look for in awarding settlements to those injured and why and when they decide to actually go to court. This experience is now applied to the other side of a case — your side. Our attorneys provide sound legal guidance and aggressive representation to accident and injury victims who are treated unfairly by insurance companies. Insurance coverage issues can be more complex than many people ever imagined. Unfortunately, the decisions about coverage that you — or other drivers — made a long time ago can have a dramatic impact on the resolution of your car accident claim. As soon as you become our client, we begin an in-depth investigation of your case. We obtain the accident report, contact witnesses, gather evidence, and verify your insurance coverage. To ensure that all of your rights are protected, we will need to know about the responsible person’s insurance and your own car and health insurance as well. When you have been involved in a car accident, your own car insurance may provide the coverage you need to pay your medical bills, your car repairs, and other expenses that you incur. As your attorneys, we will help you explore all compensation options for your injury. What if the other driver has no insurance? In this situation, the other driver is an “uninsured motorist.” We will determine the amount of uninsured motorist (UM) coverage available under your car insurance policy so that we may seek compensation from your insurer by filing an uninsured motorist claim. When a negligent driver is uninsured or underinsured, your own car insurance may protect you if you have uninsured motorist coverage (UM) or underinsured motorist coverage (UIM). Under Arizona law, you may purchase as much uninsured or underinsured motorist coverage as you do liability insurance. The minimum limits for bodily injury or death in a liability insurance policy are $15,000/$30,000. Unfortunately, 15/30 coverage often is not enough to cover your medical expenses if you are injured by an uninsured or underinsured motorist. When buying your auto insurance, cutting corners on this coverage is never a good idea — in fact, Arizona law requires you to sign a waiver if you reject UM or UIM coverage or choose an amount that is less than your liability coverage. Collision coverage pays to repair or replace your car if you are in an accident, no matter who is at fault for the collision. If the person who caused the accident does not have insurance, or does not have enough insurance, your own collision coverage will compensate you for the damage to your vehicle. If you have chosen medical payments coverage as part of your auto insurance plan, it will pay the medical expenses for you and the passengers in your car if you are in an accident. Will my rates go up if I make a claim on my own insurance? If you did not cause or significantly contribute to the accident, your insurance company is prohibited by Arizona law from increasing the premium on your auto insurance. Uninsured motorist coverage, underinsured motorist coverage, collision coverage, and medical payments coverage can be confusing. If you were injured in a motor vehicle accident or through another’s negligence, you may need the help of an experienced insurance liability lawyer to ensure that your right to pursue full recovery is protected. Please contact us today to discuss your case in a free consultation. Nonpayment of claims. Delayed payment. Failure to pay the full amount due on a policy. Improperly denying a valid claim. These may all constitute what is known as insurance bad faith, and may represent not only a breach of the insurance contract, but also violations of insurance law. At Bache & Lynch, we fight for accident victims when insurance companies deny liability or otherwise refuse to live up to their obligations. We will stand up for your rights in court, if necessary to get you the full recovery that you deserve. We often look for payment to the insurance policies of our clients or their family and friends, because those insurance companies may have contractual obligations to pay compensation under the uninsured motorist, underinsured motorist, and medical payment coverages. Insurance companies often resist such payments, or at least resist paying their maximum coverage limits. In these situations, our clients need our legal representation to pursue full compensation in court or in arbitration. By law, insurance companies can’t drop you or raise your rates if you file an uninsured or underinsured motorist claim or any other claim against them. Your insurance policy is a contract. You paid the premiums. Now you need the benefits you were promised. We want to make sure that the insurance company lives up to its end of the deal. If you feel you are not being treated fairly by an insurance company, it is vitally important to consult a lawyer with extensive experience and an in-depth understanding of the industry. For more information or to schedule a free consultation with an experienced Arizona insurance liability attorney, please call the Tucson offices of Bache & Lynch at 520-293-5300. You may also contact us using the Contact Form above to request an appointment. A few months ago, my husband and I were rear-ended while stopped at a red light (the other driver was on her cell phone). At the time, we didn’t have the wherewithal to deal with all the ins and outs with the other insurance company, so we asked Katie to advocate on our behalf. With her help, along with the support of Leah and Frances, the whole situation was streamlined with little work on our part. They were well organized and advised us every step of the way. It was the first time for us to ask for the help of lawyers, and it was a very positive experience. Yelp 5 Star Review – S.H.